The upcoming 2018 CMA Awards ceremony is coming together! Check out which country music stars have been selected to take the stage here! Another country music hit-maker has just been added to the 2018 CMA Awards performer lineup—- ERIC CHURCH! As previously revealed, Chris Stapleton and Maren Morris are set to collaborate with R&B and gospel icon Mavis Staples. Bluegrass legend Ricky Skaggs, Brad Paisley, and Lauren Alaina have also been recently added to the impressive lineup. JUST ANNOUNCED: @EricChurchMusic will be performing at the #CMAawards tomorrow at 8|7c on @ABCNetwork. The artists listed above join Jason Aldean with Miranda Lambert, Garth Brooks, Luke Combs, Midland, Brett Young, Dierks Bentley, Brothers Osborne, Florida Georgia Line, Kacey Musgraves, Pistol Annies, Bebe Rexha, Thomas Rhett Luke Bryan, Carrie Underwood, Kenny Chesney, Dan + Shay, Old Dominion, Keith Urban, and Kelsea Ballerini! Just when you thought the #CMAawards couldn't get any better, we've announced even MORE performers: @JasonAldean with @MirandaLambert, @GarthBrooks, @LukeCombs, @Midland & @BrettYoungMusic. In addition, the ceremony will feature “special appearances” from artists Lindsay Ell, Vince Gill, Sierra Hull, Chris Janson, Ashley McBryde, David Lee Murphy, Jon Pardi, Carson Peters, Marty Stuart, and Cole Swindell. 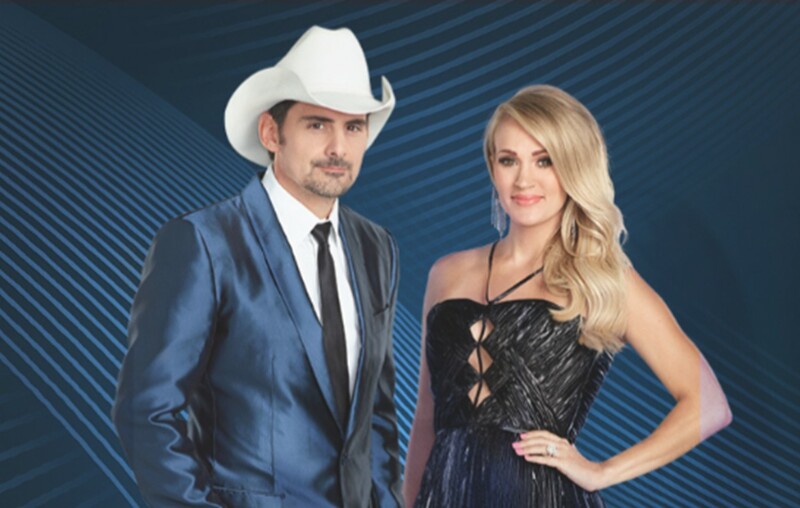 Carrie Underwood will also be co-hosting the live event with Brad Paisley from Nashville’s Bridgestone Arena on November 14th at 7 p.m. CT via ABC. Share this news with other country music fans and check out the nominees below! Congrats to all of the nominees! Share this update with other country music fans!